Maritime Academy of Nigeria, MAN, Oron, important notice to prospective post UTME candidates as regards fraudsters purporting to be representative of the institution. 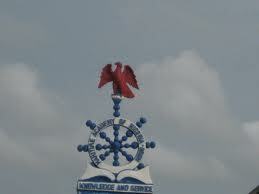 Latest update: Maritime Academy Post UTME Form is Out – 2015/16. Prospective applicants of Maritime Academy of Nigeria (MAN), Oron are to disregards any text message or E-mail asking them to pay any amount for post-UTME or entrance examination to Zenith or other banks. See also: FRAUD ALERT: Advice to Desperate Admission Seekers . You’re to wait for management decision on the post-UTME/Entrance examination procedure, which would be formally stated on the official website ( www.macademyoron.org and www.manoron.edu.ng).